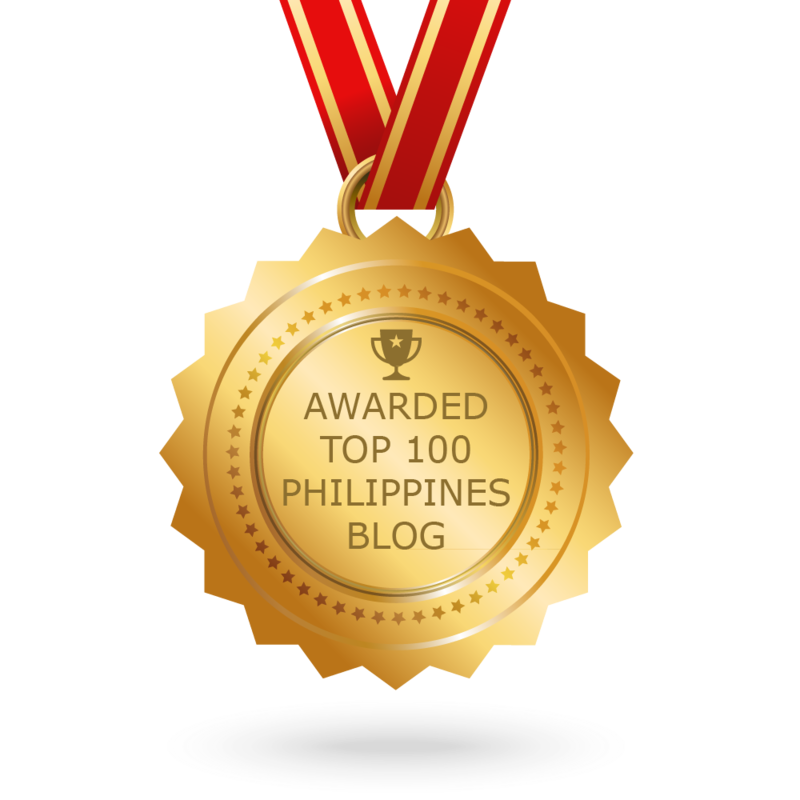 The Best Philippines blogs from thousands of top Philippines blogs in our index using search and social metrics. Data will be refreshed once a week. Also check out Philippines Youtube Channels. 2.5 PinoyMoneyTalk.com | The Philippines' biggest money and finance community! 2.8 LionhearTV | Your Daily Dose of Entertainment! 2.59 Tin Roman PH | Lifestyle, Health & Beauty Blog! Philippines newsletter is a comprehensive summary of the day's most important blog posts and news articles from the best Philippines websites on the web, and delivered to your email inbox each morning. To subscribe, simply provide us with your email address. Manila, Philippines - Asia About Blog When In Manila is a community of hundreds of writers, photographers, videographers, storytellers and adventure seekers, who simply want to share their discoveries and stories. Facebook fans 2,727,173. Twitter followers 105,600. Philippines About Blog 8List.ph is a groundbreaking and award-winning digital publication that appeals to a new generation of Filipinos. Our content comes in the form of exciting visual lists, designed for those who love a good, quick read. It is your daily dose of entertaining, useful and informative lists. Facebook fans 316,695. Twitter followers 2,142. Makati About Blog Click The City is the Philippines’ definitive online entertainment and lifestyle guide, delivering up-to-date entertainment schedules and events, serving as a clearinghouse of goings-on around town. Facebook fans 129,932. Twitter followers 9,592. Chicago, Illinois About Blog A family Cooking Food Blog that features tried and tested Filipino and Asian Recipes for the home cook. It also features information on Culinary Arts, Diet and Weight Loss, and Healthy Foods. Facebook fans 2,697,397. Twitter followers 3,555. 5. PinoyMoneyTalk.com | The Philippines' biggest money and finance community! Facebook fans 823,348. Twitter followers 3,536. 8. LionhearTV | Your Daily Dose of Entertainment! About Blog LionhearTV is a place and space for all Filipinos everywhere to get their daily fix of what's going on in the entertainment world. Facebook fans 2,322,764. Twitter followers 23,328. Manila, Philippines About Blog SPOT.ph is your One-Stop Urban Lifestyle Guide to the Best of Manila. With daily, up-to-the-minute coverage of the latest in Manila life, entertainment, dining, politics, culture, and style, SPOT.ph is your go-to guide for where to go, what to do, see, eat, buy, and talk about. Facebook fans 952,214. Twitter followers 146,813. Facebook fans 97,249. Twitter followers 2,634. Makati, Philippines About Blog Philippine Tatler is Philippine's essential luxury magazine with in-depth news, reviews and interviews. It is the definitive resource for the luxury lifestyle in The Philippines. Facebook fans 219,963. Twitter followers 2,295. Facebook fans 107,473. Twitter followers 934. Facebook fans 1,131,087. Twitter followers n/a. Facebook fans 21,030. Twitter followers 1,188. Facebook fans 75,123. Twitter followers 458. About Blog The Beauty Junkee is a blog and community for Filipinas and women from all over the world who love makeup, skin care, perfume, and all sorts of beauty products. All the classic product and latest trends, you will find here! Facebook fans 32,775. Twitter followers 5,304. Facebook fans 36,498. Twitter followers 6,929. About Blog Welcome to Filipino Style Recipe! Here is my collection of local and foreign recipes that have been modified to suit Filipino taste. Facebook fans 258,671. Twitter followers 39. Philippines About Blog The Society of Honor is a collaboration by people interested in the well-being of the Philippines. It is a place to think and discuss, to teach and learn. Facebook fans n/a. Twitter followers 5,125. Facebook fans 33,094. Twitter followers 4,650. QC, Philippines About Blog Grit is a project venture under Avaris, a Philippine-based digital marketing company helping brands all across the globe increase their website traffic and revenue. Grit offers the most comprehensive and actionable business guides for Filipinos aspiring to escape the 9-5 rat race. Our mission is to make "wealth creation" accessible to everyone. We make "making money" easier. Facebook fans 12,148. Twitter followers 12,578. About Blog Hello! I'm Jen Maslang, a wife and Mom of two girls. Let me share with you my love for fashion, beauty, lifestyle and all the happenings around us. Facebook fans 3,409. Twitter followers 2,559. Facebook fans 5,657. Twitter followers 3,889. Manila About Blog Jackie Go is behind the blog Go Jackie Go. She is a lifestyle blogger from Manila, Philippines. A young mom & homemaker who finds pleasure sharing good things, good news and good vibes. A work-in-progress multi-faceted woman who enjoys motherhood and blogging much as life and style. Facebook fans 11,696. Twitter followers 4,158. Philippines About Blog A lifestyle and parenting blog of Berlin Domingo to initially cope up with – what she thought – the boredom of staying at home. Life is indeed full of adventures and lessons learned, and now she is ready to embrace all challenges with an open heart and loving hands. Follow her journey here as she writes all the feats and what she considers the never misses of a life of one momi. It is her ultimate goal to live life to the fullest and make each day the happiest. Facebook fans 3,166. Twitter followers 1,280. Makati City, National Capital Region About Blog The Rod Magaru Show blog is one of the emerging blogs covering Philippine entertainment and Lifestyle. It is marked as one of the most popular online provider of information from various niche. Facebook fans 115,723. Twitter followers 36,657. About Blog A food and travel blog based in Manila, the Philippines. Expect lots of recipes, restaurant reviews, foodie features, mouth-watering food photography and styling. Facebook fans 5,746. Twitter followers 104. Facebook fans 24,192. Twitter followers 9,623. Republic of the Philippines About Blog We are the premier source of information for Track and Field News in the Philippines providing regular updated news and History of the Sport. This is probably the most elaborate site to deal with the niche of Filipino Track and Field History and Results. A wide database of results and information on athletics in the Philippines which is second to none. Facebook fans 15,366. Twitter followers 949. About Blog Blog about travel reviews (accommodation, food, package tours, related products & services) or destination guides or stories. Facebook fans 13,090. Twitter followers 1,255. Philippines About Blog Hi, I am Anagon and I started blogging way back in 2005. I was majoring in journalism then, & thought I should create an online outlet to find and practice my writing style. Fast forward to 2019, I still think that everything is a story to tell. I still love blogging my day-to-day happenings, current interests, & all the fun blogger events I get to attend. My favorite though is writing about my travels. Facebook fans 11,282. Twitter followers 9,529. About Blog I am a Digital nomad and economic refugee living in the Philippines, working online from Angeles, Manila and Cebu. I like Filipina girls. Facebook fans 293. Twitter followers 203. Facebook fans 58,127. Twitter followers 1,450. Cebu City, Philippines About Blog Iway Diaries is a Family and Lifestyle blog managed by Cebu Mommy Blogger Hannah Iway, sharing stories about her family travels and daily adventures, trusted brands, events attended and everything fun and helpful. Facebook fans 2,154. Twitter followers 1,269. About Blog Tech Pilipinas is the Philippines' digital lifestyle blog that focuses on the latest news and updates from the world of technology, computers, electronic gadgets, startups, mobile apps, social media, and many more.Tech Pilipinas covers the latest happenings in the Philippines' tech scene. Facebook fans 1,285. Twitter followers 23. Manila, Philippines About Blog Hi I'm Rochelle Miko Kawasaki. This is a lifestyle blog about beauty, fashion, food, my kids, travel and everything in between. Here, I share my experiences and journey in life. Facebook fans 9,730. Twitter followers 2,598. Facebook fans 10,894. Twitter followers n/a. Manila, Philippines About Blog Marjorie Uy's blog shares her crazy reflections on life, love for food, and zest for travel, spiced up with health-related topics, beauty, home and household, and gadget reviews. Facebook fans 1,618. Twitter followers 1,852. Chebu About Blog Hi, my name is Cheryl F, a 20-something Filipina born. Goddess In Disguise is my Personal and Lifestyle Blog. Facebook fans 2,584. Twitter followers 1,864. Davao City, Philippines About Blog As an American who has lived in the Philippines for more than 17 years, I can teach you how to make the move yourself! Not only moving, but having a HAPPY LIFE in the Philippines. Most Expats never achieve that! Facebook fans 4,369. Twitter followers 857. Manila, Philippines About Blog Azrael's Merryland is a lifestyle online portal about food, travel, technology, pop culture, events, movies and talks about his personal journey as a traveler, food blogger and social media enthusiast. Facebook fans 6,977. Twitter followers 3,553. Facebook fans 127,254. Twitter followers 52,768. 59. Tin Roman PH | Lifestyle, Health & Beauty Blog! Makati City PH About Blog Hello, loves! My name is Tin. I love writing reviews on health, beauty products, makeup, and skincare. I also have YouTube Channel to feature hauls, makeup videos for beginners and all kinds of stuff. Manila, Philippines About Blog iVolunteer Philippines is the first online portal where we envision every Filipino volunteering to build a better nation. Here, every Filipino is a hero! Facebook fans 42,616. Twitter followers 593. About Blog Mommy Bloggers Philippines was created to gather mothers who blog all over the Philippines but is also open for Filipino bloggers from the rest of the world. The main vision of the group is to improve the quality and reach of blogs of our mommy blogger members by group sharing, giving them opportunities to attend events and write product reviews. Facebook fans 19,653. Twitter followers n/a. Philippines About Blog Filipino Doctors is a directory of general physicians, specialists, clinics and hospitals in the Philippines. Compilation of informative health news and topics. Facebook fans 11,100. Twitter followers 1,021. Facebook fans 2,083. Twitter followers 183. Republic of the Philippines About Blog I am 30 something solo parent to 3 beautiful children, 2 girls and a boy. I have been blogging since 2007. I am a Filipina mom thus I call myself Pinay Mommy. I lived my entire life all over the Philippines. Social Media Enthusiast. Virtual Assistant. WordPress Fan. Educator. Homeschooler. Continuous Learner. Geek. Fangirl. Foodie. Super Mom of Three. Facebook fans 11,281. Twitter followers 6,461. PH About Blog Koji Arsua is a writer from Manila who writes about books, magazines, movies, TV shows, art, theater, food, fashion, tech, and design. Facebook fans 2,006. Twitter followers 988. Philippines About Blog Hi! I’m Iris Acosta! Welcome to Pinay Ads, a lifestyle blog that was founded in August 2008. If you are a SAHM (Stay At Home Mom, and wife), we might share the same interest and experiences, too! Topics posted here include my curiosity on the latest and hottest entertainment news, technology trends, travel tips, food (anything about it), family and relationships, as well as, parenting, among others. So if you are into random but interesting and useful topics, you’ve come to the right place! Facebook fans 12,606. Twitter followers 2,537. Tacloban,Philippines About Blog A blog about parenting, motherhood and other exciting things about babies and kids. A mommy blogger of the Philippines.Get to know how you can be a super mom and how you can make motherhood fun and exciting from tips and features I write for you. Facebook fans 3,172. Twitter followers 2,310. About Blog Royal Domesticity is a lifestyle blog focused on real, delightful and simple family living. Information, inspiration and entertainment for Filipino families who love real, delightful and simple living. Facebook fans 103,329. Twitter followers n/a. Philippines About Blog The New JUAN T'MAD is Jeffrey Aspacio's personal lifestyle, health & wellness, sports, travel, digital marketing and inspirational blog. Facebook fans 959. Twitter followers 923. About Blog Beki.PH is a Bakla ng Pilipinas blog site which offer LGBT related topics, showcase male photography and personal life posts. Facebook fans 173. Twitter followers 85. About Blog I help Flight Attendant-Aspirants in the Philippines achieve their Dream career as Flight Attendant. I have a blog and a YouTube channel where i pour out my passion in helping people get their dream job! Facebook fans 10,787. Twitter followers 548. About Blog Issa is the nickname of Carissa (Bongalosa). She's a Cebu-based Digital Marketer at ESL Philippines, Island Trotters, Uber Expensive. Follow her adventures. Facebook fans 5,529. Twitter followers 23,297. Facebook fans n/a. Twitter followers 2,814. San Juan City About Blog Digital Filipina discusses subjects relevant to women, especially lifestyle, events, and food. Facebook fans 4,027. Twitter followers 818. Quezon City About Blog Top Lifestyle and Beauty Blogger in the Philippines. This blog consists of snippets, thoughts, reviews, samplings and giveaways, for anything from clothing to food to products to hotels, stores, restaurants and all in between. Facebook fans 3,899. Twitter followers 2,283. Tacloban City, Eastern Visayas About Blog A mom of soon to be two lovely kids, financial analyst by profession and writer behind this blog. Here at Mom’s Shout Out, I love sharing Inspiring Shouts about Family, Parenting, Motherhood, Kids Life, Health, Fitness, Education, Career, Foods, Travels, Fashion Finds, Great Deals, Coupons and Giveaways. Facebook fans 3,336. Twitter followers 2,375. About Blog Pinoy Scientists shows Filipinos doing all kinds of science in all kinds of places. We hope that this helps displace outdated and unrealistic stereotypes of scientists as “white men in lab coats” or “lone geniuses”. Our message to the next generation of inquisitive, young Filipinos is: You can be a scientist, too! Facebook fans 1,424. Twitter followers n/a. Baguio City, Philippines About Blog Chiki is currently on the mission of visiting all the 81 provinces of the Philippines! Follow his (mis)adventures here! Facebook fans 1,886. Twitter followers 1,446. Quezon City, National Capital About Blog Hi! I'm John Bueno! This is KUMAGCOW.COM - Men's Lifestyle Redefined! KUMAGCOW.COM wants to redefine what everyday life should be for the Filipino Man. An alternative lifestyle. Facebook fans 2,917. Twitter followers 3,760. Cebu, Philippines About Blog Exotic Philippines is a food and travel blog about the Philippiness where you can get the latest Philippines destinations, travel guides, itineraries, and more! Facebook fans 6,647. Twitter followers 5,967. Republic of the Philippines About Blog The leading Filipino history blog bringing history to the Philippines and the world. Facebook fans 2,778. Twitter followers 17. About Blog For those interested in knowing more about the Philippines, Filipiniana, Philippine libraries and Filipino librarians. Silay City, Philippines About Blog Nhatty is a Negros Occidental based travel blogger. This blog is about travel guides, Itinerary, local attractions and places of interest here in the Philippines. Come and join me discover amazing places! Facebook fans 1,437. Twitter followers 423. Manila About Blog Mommy Ginger is a blog owned by Ginger Arboleda, a mom and an entrepreneur. She writes about business, marketing, start-ups and mommyhood. For anyone who want to learn how to manage time, how to learn about business by reading or viewing experiences from others, this is the blog to follow! Facebook fans 12,304. Twitter followers 1,647. About Blog I believe in being strong when everything seems to be going wrong. I believe that happy girls are the prettiest girls. I believe that tomorrow is another day, and I believe in miracles. Facebook fans 3,849. Twitter followers 2,720. Philippines About Blog I am a contributing writer to various Philippine print and online publications. I blog because I enjoy writing about other topics that are not assigned by my editors. I'm a mom of four boys and wife to a man I consider my bestest friend in the world. Facebook fans 1,800. Twitter followers 1,443. About Blog Hello, I'm Bedalyn, a product of the 80's and a mother of 3 bebe. Here you'll find posts about myself, my family, lifestyle, entertainment and a li'l bit of beauty. About Blog Enjoying Wonderful World with General niche..Travel, lifestyle, entertainment , arts, home, technology. Also with advocacy, movies , music, songs,books, publications, magazines, love , life, people, fashion, health, nature, festivals, real estate, sports, current events, international news and events! Facebook fans 3,702. Twitter followers 891. About Blog They say ... they say ...Come on, who are they really? And why are they saying so badly and badly? Should we believe in their stories of wonders and fears? They say, it does not matter if we believe. Here are some horror stories I have written about what the Filipino people believe. Hope you enjoy all of it. Davao City, Philippines About Blog Grace hails from her favorite city in the world, Davao City! Her articles focus on family, parenting, marriage, and motherhood as part of the Christian life. She is also a big believer of the Filipino call and destiny and writes a lot about revival in the Philippines. About Blog Blogger Manila discusses mainly about three important things in the online community today ie Social Media, Blogging and Online Engagments and talks about Philippines lifestyle in general. Facebook fans 1,687. Twitter followers 1,219.
manila About Blog Life and Style. Discovering Skincare, Lippies, Fashion, Shoes, Reads, Movies and life stories--with a large cup of Lemon Green Tea. Facebook fans n/a. Twitter followers 1,381. About Blog The devotion of Filipinos to their Catholic religion does not only revolve around the church and its rituals but also on images of veneration known as "santos". Introduced during the Spanish colonial times, santos are sacred to most Filipinos, regarding them as precious part of the family and home. Santos, then and now, are crafted from wood, ivory and other materials by local santeros (santo carvers) whose exuberant art still lives on today. Capitol Hills, Quezon City About Blog A blog about Lifestyle, Travel, Food, Music, Technology, Fashion, Celebrities & Everything in between! Facebook fans 2,843. Twitter followers 2,866. Philippines About Blog Pilar Juliana Schramm Cayetano, popularly known as ‘Pia,’ is a Filipino lawyer and was the youngest woman elected Senator in Philippine Congress to date. Pia is currently Deputy Speaker of the House of Representatives, representing the people of the 2nd district of Taguig City, one of the country’s most progressive business and financial centers. Facebook fans 420,130. Twitter followers 641,260. Manila About Blog Hello. My Name is RichieZ. And I am the Pickiest Eater In The World.This Blog is meant to chronicle the adventures of me and my partner in crime, the beautiful RinaZ's, as we explore different cuisines, trying to find food that suits our taste. Facebook fans 11,502. Twitter followers 5,028. Baguio City, Philippines About Blog We are Omeng and Ane (OA), “LETTERally” the OAest blogger couple! We hope to help you with the age-old “QUEST’yun”, “San tayo kakain? (Where shall we eat? )”, whenever you find yourself in the Summer Capital of the Philippines, or wherever we may be traveling to. Happy reading! Facebook fans 1,558. Twitter followers n/a. Manila About Blog Mix of Everything is a Lifestyle blog giving you updates on events, trends, gadgets, food, shows, travel and so much more! Facebook fans 4,998. Twitter followers 1,750. Facebook fans 3,201. Twitter followers 206. MNL About Blog Just a mid-20s DIY guy trying to live life to the fullest. Here's my lifestyle blog featuring travel, photography, culture, parties, DIYs and food. Facebook fans 2,106. Twitter followers 209. Manila About Blog Sugarsmile's adventures are as sweet as candy. A lifestyle/entertainment/fashion/tech/food blog in one. Facebook fans 1,611. Twitter followers 68. Cebu City, Philippines About Blog Pure Heart Philippines is dedicated to forming leaders to protect Filipino Values, preserve the culture of life, and build a civilization of Love in the Philippines. Facebook fans 1,072. Twitter followers 67. Philippines About Blog Hi! my name is Abie and this is my little online journal where I share everyday life, ministry and sometimes a little fashion. I’m also a soon to be Mama to a baby boy. Facebook fans 928. Twitter followers n/a. About Blog I am a wife, a mother, a daughter, a friend..etc. I wear different hats in different strokes. I write to let my thoughts flow like a river. This is my way of expressing the deepest side of me. You may like me or hate me with what you can read here in my pages. But one thing is for sure, I do not sugar-coat a thing. What you can read is what you can get from me. Facebook fans 384. Twitter followers 60. About Blog Mission Letters from Elder Ryan Jenkins talking about his life in Philippines. CONGRATULATIONS to every blogger that has made this Top Philippines Blogs list! This is the most comprehensive list of best Philippines blogs on the internet and I’m honoured to have you as part of this! I personally give you a high-five and want to thank you for your contribution to this world.